Now in the second half of my second year as a novice, I am currently discerning the next stage of formation: temporary vows. For the past few months I have been reading about, discussing, and writing reflection papers on the vows of consecrated celibacy, poverty, and obedience. While my understanding and appreciation of these three distinct yet related vows has definitely grown over time, I am still trying to define how they speak directly to me and how I am called to embody them in this time, place, culture, society. Fortunately, many sisters have assured me that I do not have to--and most likely will not--have it all figured out by the time I am standing in front of the congregation making my first profession. In fact, it is normal and appropriate to constantly be growing into the vows and discovering ever new ways that they help me give witness to the reign of God. Of course, it takes time to grow into anything, and that takes patience. So I find it fitting that today’s Blessed Among Us is Pierre Teilhard de Chardin, whose prayer Patient Trust calls us to trust in the slow work of God. I was registering for an Archdiocesan Day of Reflection for Consecrated Life here in Chicago and struggled to complete the form. Name, congregation, years of vocation… easy questions. Then there was a special section for those in initial formation. Yes, that’s me! We were instructed to mark our stage of formation from four choices listed: postulant, novice, temporary professed, and perpetually professed. I immediately thought well, none of the above. Is there an option for a sister who’s not a religious, who will never profess temporary or perpetual vows? A major distinction between religious congregations and our particular identity as Daughters of Charity that many folks get hung up on revolves around the vows. Our vows are “non-religious, annual, and always renewable” (Constitution 28a). Folks seem puzzled at times when I explain to them that I am a sister out on mission and haven’t made any vows. I’m quick to clarity that I live the evangelical counsels (poverty, chastity, and obedience) and am deeply committed to serving Christ in the Poor (fourth vow of the Daughters of Charity), but I have not made any vows. Daughters of Charity in initial formation make vows for the first time between 5-7 years vocation, and then renew them each year with all the sisters on the Feast of the Annunciation, a special day in the community we call Renovation. 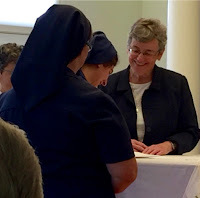 To understand how a sister can be sent on mission from the Seminary (similar to the novitiate) without any vows (typically religious congregations profess temporary vows after the novitiate), it is important to clarify the relationship between serving the mission and making vows, for us as Daughters of Charity. My day to day life doesn’t seem too different than my sisters who have made vows. We pray together, share community life together, and serve alongside each other in various ministries. Yet every March 25 there is something that distinctly separates us. 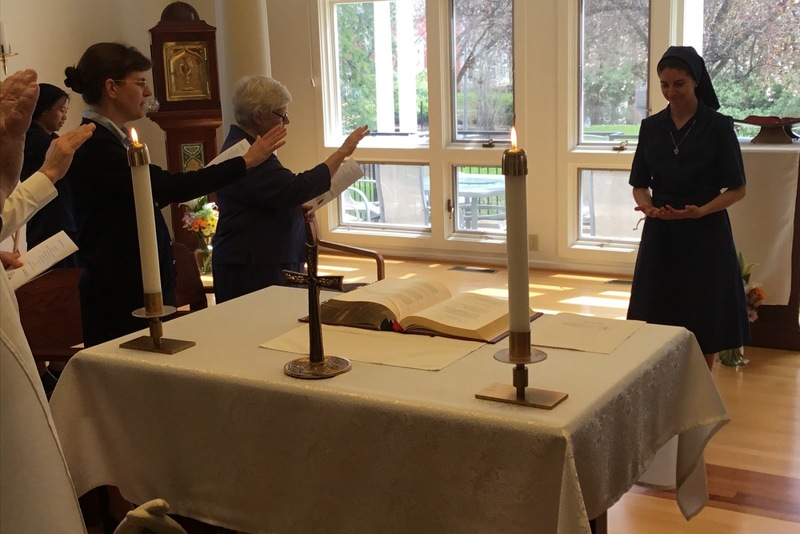 During that quiet pause after the homily during a Renovation mass, the sisters silently recite the vow formula, making their vows to God for another year. 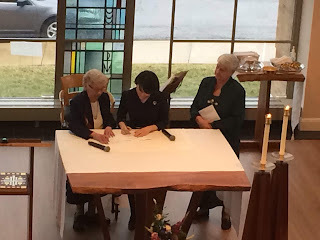 It is such a sacred moment to witness as a sister under vows, as I feel the tension between the already of mission life and the not yet of vows. So, what does a sister under vows do during Renovation? 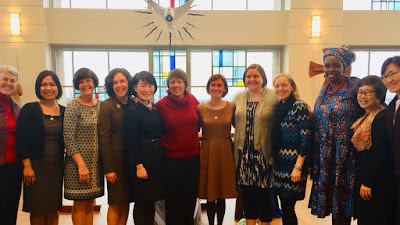 I pray for my sisters, those gathered at the present liturgy, and the 14,000 others scattered across the globe saying “yes” under a variety of challenging circumstances. 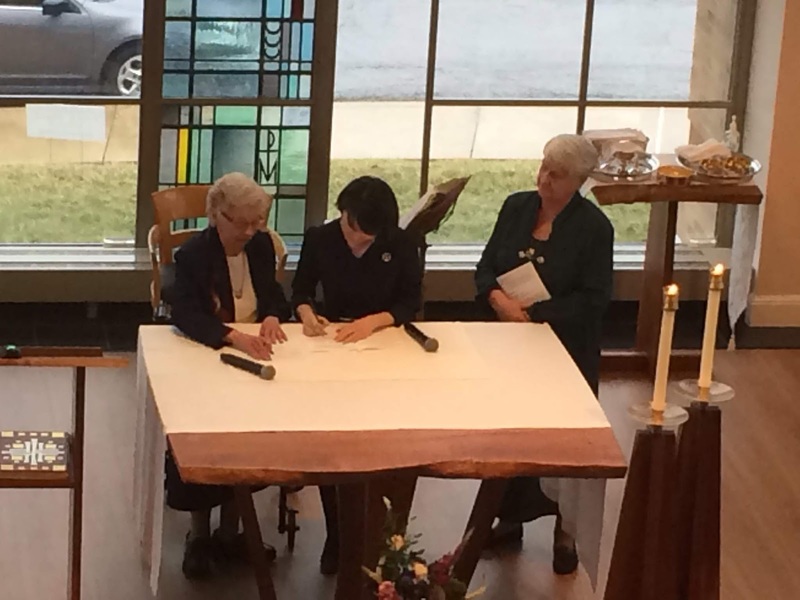 Last year when I was in the Seminary, we celebrated Renovation with our senior sisters missioned to the ministry of prayer in St. Louis. I accompanied one sister during mass and was instructed to prompt her when it was time to renew vows. I held her hand, pointed to the vow formula, and loudly whispered into her ear, “It’s time to make your vows.” She erupted into a broad smile and responded, “uh-huh.” I pointed to the words of the vow formula and watched her gaze travel across the page, with an occasional slight nod of the head. In a few years, God-willing, I will make my own “uh-huh” to God for the first time. But in the meantime, I will continue to live in the already of mission life: strengthening my identity as a Daughter of Charity, expanding my love for the Poor, broadening my forms of service, investing myself in community life, and forever deepening my relationship with God. The Gospel reading for the first Tuesday of Lent reminds us of a God of every season including a season of Lent, a season where we reap what we sow, a season where there is no need for distress or worry when what we do or seek is grounded in good and God. This is because our God is one who rescues the just. He seeks us not to babble like the pagans but a people who do. Read on to learn of a connection to trauma, and what I believe, we must do this Lenten season. All of us are sufferers of toxic stress. Is there something that can mediate these risk factors? Link to the reading. Trauma is an important conversation because as we venture into Lent, we are always looking for something to give up. In the light of the above knowledge, it makes more sense to add a Lenten ritual to help all people. Trauma interrupts the processing and receipt of love, hardening our hearts and how we see the world. Yet love is a mediating factor. Therefore, why not consider adding love, compassion, and care for the other to our Lenten season rather than giving up something random. Closing. As we look at our world surrounded by daily stressors threatening the equilibrium of our society, remember God is continuously there. We should be too. God provides seeds for the one who sows and bread for the one who eats ... as the psalm reassures us that “From all our distress God rescues the just.” Our world needs LOVE. Karen Young (2019) states that the environment might continue to be stressful and deeply painful for a child, but research has shown that with the support of a loving adult, the physiological effects of the stress response can be softened, minimizing the risk of long-term damage. During this Lenten season, let us lessen our babbling and show more love to our brothers and sisters. Let us take to heart that as God gives us our daily bread that we share that bread daily with our others and surround ourselves in love. Sr. Hyeon Lee made her first vows into the Sisters of Charity of Seton Hill at a 2pm Mass on February 23 at their Chapel of the Assumption. 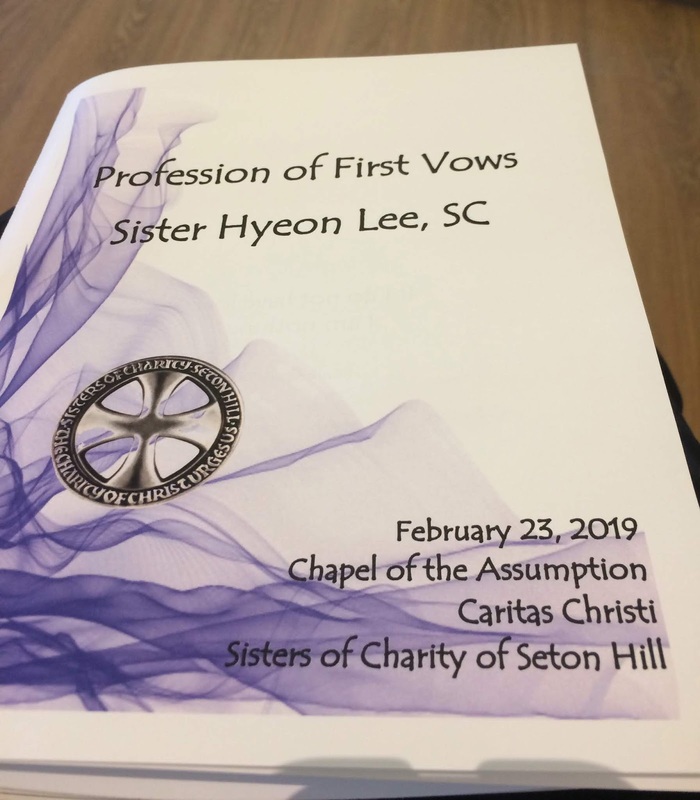 We Congratulate Hyeon Lee, our Future of Charity Sister, for making her commitment to Religious Life! Members of the Future of Charity traveled far and wide to be there with her in Greensburg, PA! 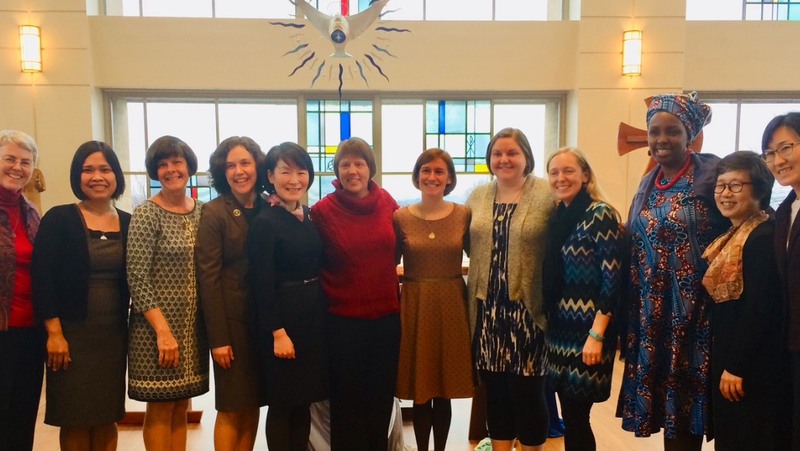 Andrea Koverman from El Paso, TX, Tracy Kemme from Chicago, IL, Whitney Schieltz and Annie Klapheke from Cincinnati, OH, Romina Sapinoso from New York, Paris Slapikas and Judy Donohue from Louisville, KY. What a joy it was for all of us to celebrate with Hyeon, who exudes simplicity and gratitude. Her family came from South Korea and Canada to witness her vows of poverty, chastity and obedience. 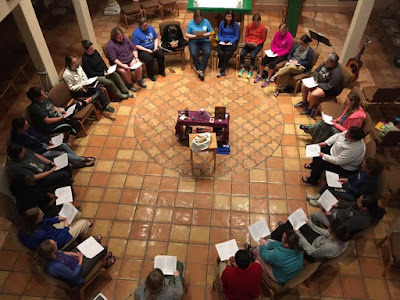 In formation for religious life, we have all moved through various transitions of living in different states/countries with a wide variety of local communities and ministry experiences. The presence of others in formation adds needed support during our common struggles. We each have made a commitment to a life of service through living out our vows. Hyeon was born in South Korea. She has her Ph.D. In Psychology from Brandeis University in Boston. She loves ministering with the elderly and having fun. It has been a joyful adventure getting to know Hyeon through our Future of Charity events. She has a great sense of humor and is very excited about traveling the spiritual journey with others. May God continue to bless Hyeon as she learns to live and share charity each and every day! 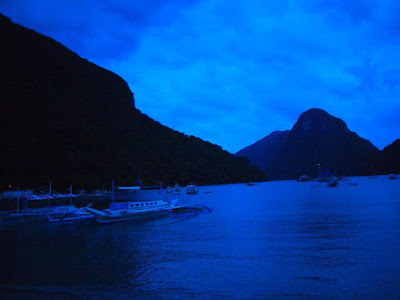 By S. Romina Sapinoso, S.C.
Back in 2012 on a trip home to visit my family in the Philippines, we went to a beautiful part of the country towards the south called El Nido, Palawan. If you are familiar with the screen savers that flash on your desktop of exquisite crystal blue waters and various rock formations creating beautiful lagoons, that’s exactly what El Nido looks like. Needless to say, it was a good time to be together in a paradise-like place. However, on one of our island hopping days, we had quite an experience as a family that none of us would ever forget. The day started out with beautiful weather albeit with some clouds in the sky. Tourists usually contract with businesses that arrange for activities and transportation between the islands. Our family was being helped by four young men who cooked, provided equipment and navigated the groups of islands with a small wooden motor boat that fit about 20 people, just the size of our extended family of cousins, aunts and uncles. As we started wrapping up a day of snorkeling, swimming, building castles on the beach and eating, the skies darkened and a storm started brewing. Thinking it was still safe and we can reach our resort before the worst of the weather came, we all packed into the boat and headed out into open ocean. That’s when the fog descended and the waters became so choppy that without saying a word, we all started praying silently. Our small wooden boat powered by the increasingly struggling small motor was tossed helplessly by the waves. We couldn’t see more than five feet ahead of us and the motor sounded like it could barely keep going. At that point, turning back wasn’t an option anymore either. After what seemed like an eternity of part keeping faith and part managing our fears, we slowly saw the silhouette of hills and mountains that signaled we were close to land. It didn’t even matter to any of us at that time which part of the island we were heading towards or if it was even the right one. We just wanted to be on land, any land, and out of the scary waves and deep fog. We collectively breathed a sigh of relief as we got to the beach. Only when we were safely on solid ground did our boatman tell us that for the most part, engulfed in the fog, he didn’t know which direction we were going. He just knew where we came from and that we needed to keep heading north. He hoped that the waves didn’t move us too far out of course. It worked. for chapter this year. I think it is safe to say that just like many other communities in religious life, there are many unknowns and uncertainties for us. However, we are certain that there is a future for our congregation and it is a future of life and hope. In a world that is fast changing, we continue to ask ourselves the deeper "why" questions of our individual and communal religious life. What direction is our own congregation called towards as we reflect on our role as women religious, the needs we feel called to answer and the margins we are called to be present to? 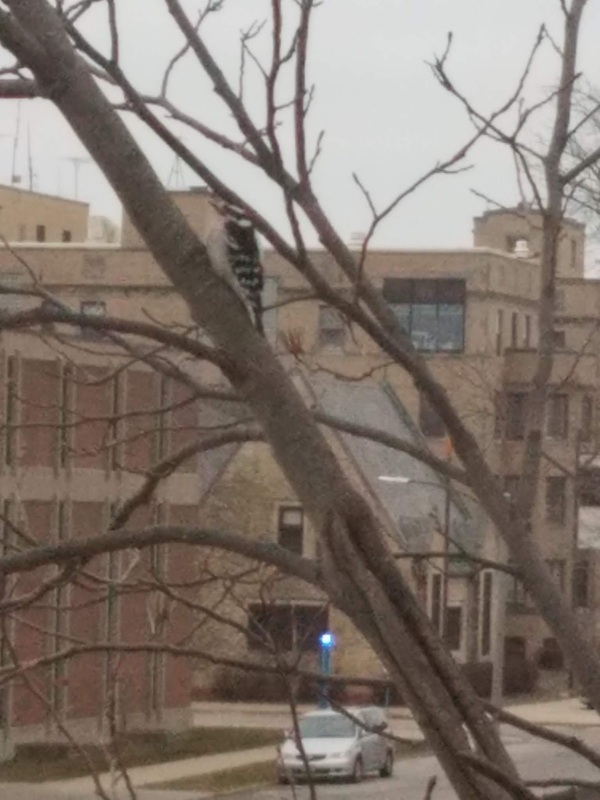 What do we do now so we can answer what is ours to respond to? something beyond the limits of what we can see. There is a place we are journeying towards and we know it is there though we have very little vision of it at this time. It is a future that might look very different but no less full of promise and hope. However, it is but natural that we as humans want to have as little time as possible in the fog just like my family and I longed to be back on solid ground ASAP. The fog makes it difficult to see. It’s scary. The choppy waters of uncertainty make us want to turn around to the safety of where we came from and what we know. But we know there is no turning back. So we sit tight and we wait in the quiet. We look around at those who are there with us. We pray and become vulnerable together as the fog calls forth feelings from deep within. There might be fear and discomfort at first. But hopefully, as we move forward through the haze, there arises openness and freedom to hold on to one another as well. And because we are people of faith, we latch on to the hope that somehow, we will get there. May our memories of individual and collective journeys when God’s grace has held us through major changes and shifts in our own lives strengthen this conviction. May we trust that our Navigator, the Holy Spirit, knows and is with us all the way. May we stay the course with faith and openness and be assured that with every nudge forward, we will start to notice the silhouettes of the future taking shape before our very eyes. Bind us together in Holy love. These words rang out, filling the center of a circle of twenty-six women religious, gathered for a weekend of prayer and fellowship. 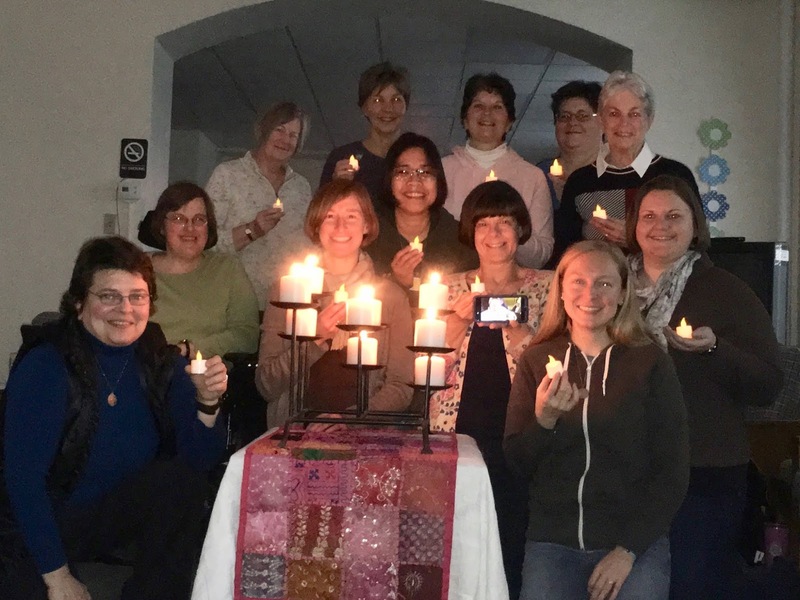 Each year in the middle of January, Sisters from a variety of congregations gather for the annual Giving Voice 20s and 30s Retreat. Giving Voice is a peer-led organization that creates spaces for younger women religious to give voice to their hopes, dreams and challenges in religious life. Praying with the image of the Trinity was the ideal way to introduce the retreat theme, Staying at the Table: Our Commitment to Community. The Trinity teaches us that God’s very existence is as community. The call to religious life, and the call to a particular community, can feel exciting, challenging, and totally mysterious. And at times of greatest struggle, as Vanier suggests, it may even feel like a mistake. At these times, returning to the core of who we are, which ultimately leads to returning to the core of who God is – the all-loving community of three who first chose us – helps to reaffirm that God makes no mistakes. God is always working for our good. Gathering with Sister peers helps each of us return to our core. The weekend together was steeped in meaningful conversations, voicing dreams and struggles, laughter, prayer, kickball, and breaking bread together. As we listened to and affirmed one another, we created community among us. And it is in community where we find our belonging; our belonging to God and to each other. I have come to love winter as it is the time the earth rests and renews itself, and I try to follow nature’s example. When we allow our minds, spirits, and bodies to slow down in the amount of activity we do, we open up time and space in our hearts to reflect on God. How often do I do this! I say anxiously– I have one more thing to do, or let me read this book about prayer instead of actually opening the door. But once my heart’s door is opened there is interior space to sit and be with my Beloved. In the interior space of my heart, when I walk through the Divine door Jesus is waiting for me. I visualize him as surrounded by light emanating from his heart. If I can bring myself to grasp his hands I can feel the energy of his love flowing into my heart. I believe this is the oneness that Joyce writes about and this is my personal time with Jesus. I do not always succeed in oneness as exterior thoughts pull me out of my interior space. But just the commitment of time, space, practice and even failed attempts are valuable. These times teach me what being a religious woman is truly about: a personal relationship with the Divine. When I finally sit inside Jesus’ sacred heart, then I am able to explore my inner self with safety and security in the Dawning light of God’s love and find I have come home to my true self.